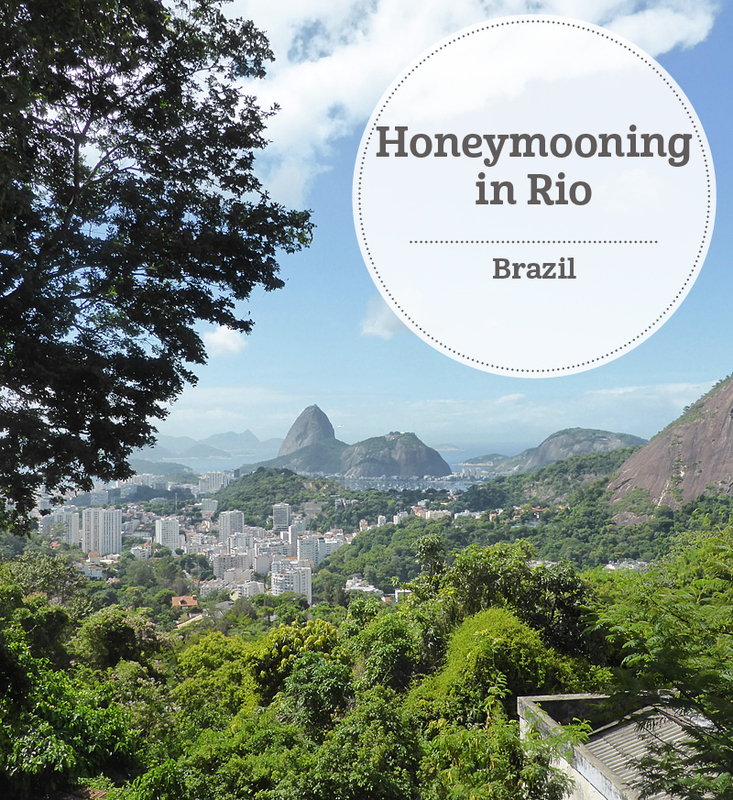 After a blissful 10 nights in Bahia, Neil and I travelled south to explore Rio de Janeiro and Ilha Grande Bay. 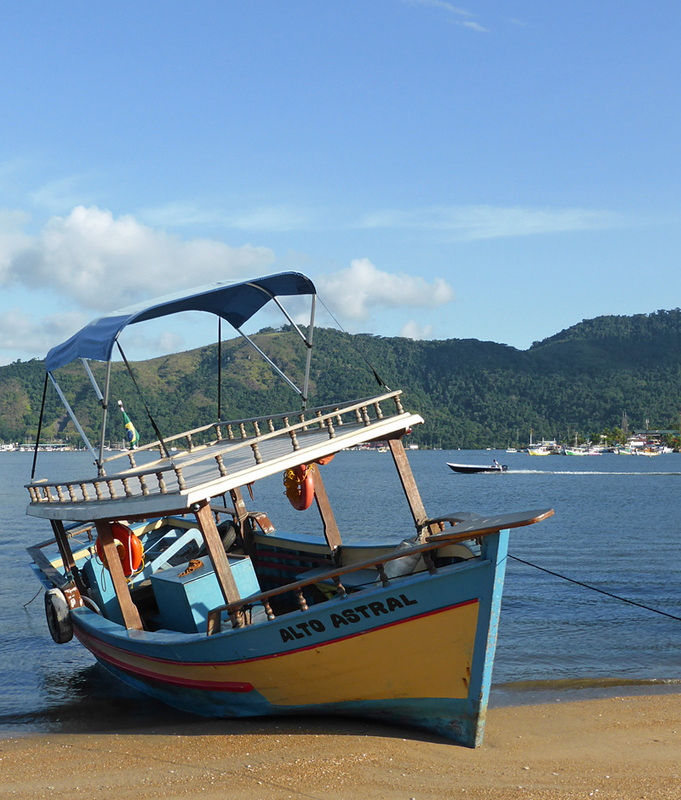 Here we discovered clean blue waters, unspoilt beaches and dense rainforest, as well as stunning boutique hotels in the regions colonial towns and famous urban metropolis. 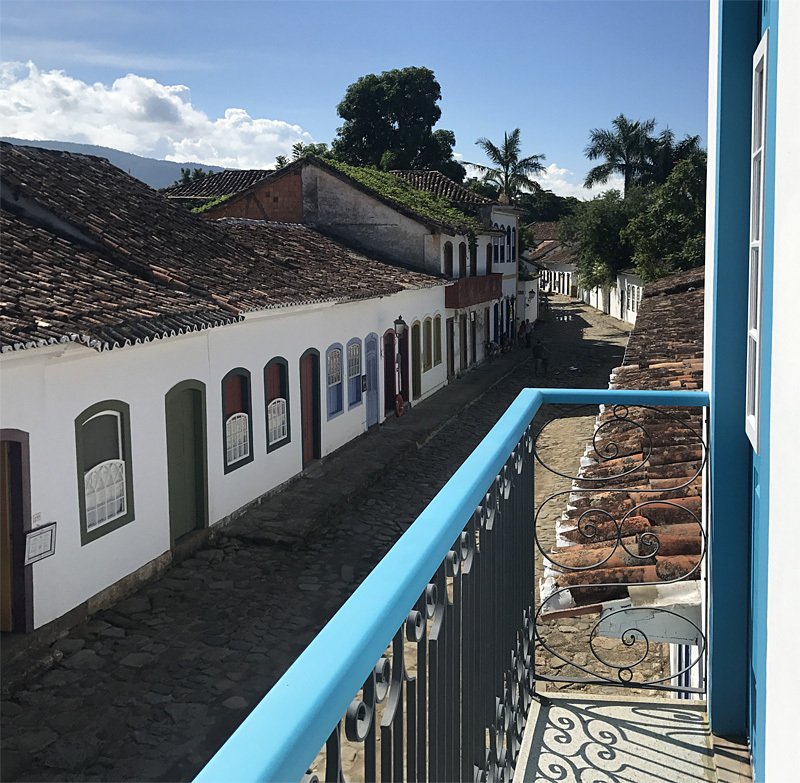 Our Paraty base was Casa Turquesa, a stunning blue and white casa beside the harbour, in the centre of this beautiful colonial town. From the moment we walked into this gorgeous boutique hotel we realised we were in for a treat. The decor is a perfect blend of modern design and colonial chic. Elegant wooden floors run through the upper floors and a feature has been made of the original stone walls (the building was originally two adjoining houses). 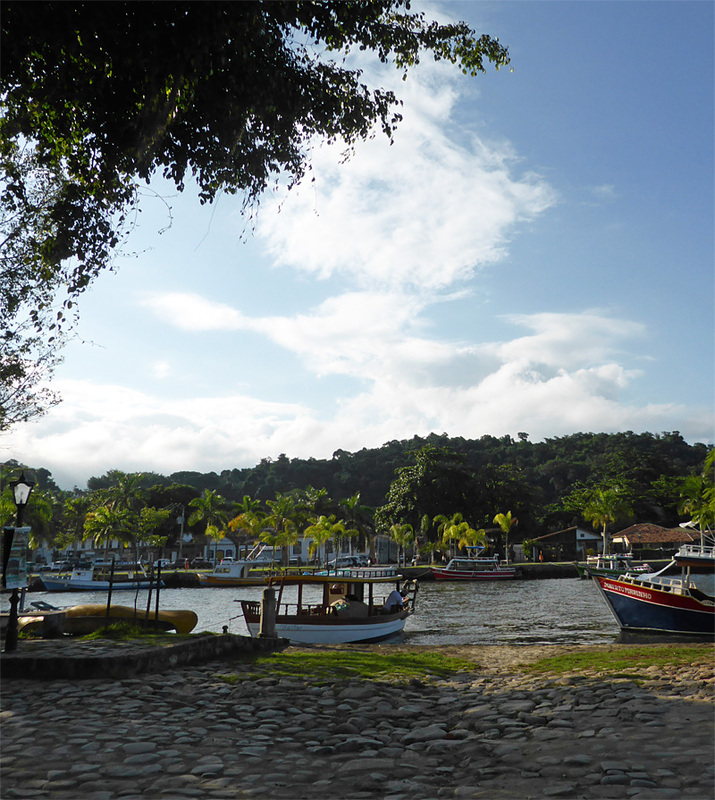 Tete, the owner, is utterly delightful, welcoming and incredibly passionate about Casa Turquesa and Paraty. Her staff made us and our fellow guests feel so welcome and relaxed. Every little detail has been thought of and the staff will assist with anything you need – they helped us make dinner reservations and even chartered ‘Latitude’ for us, a lovely old restored fishing boat captained by the charming Andre. Tete and her team knew that we were on our honeymoon and went out of their way to make our stay special. We received with gifts, champagne and delicious cakes. They really knew how to spoil us, but we never felt embarrassed in any way – no mean feat for a couple who didn’t even like using the word ‘honeymoon’. 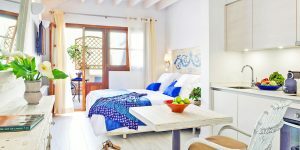 Could Casa Turquesa be my new favourite i-escape property? Quite possibly! 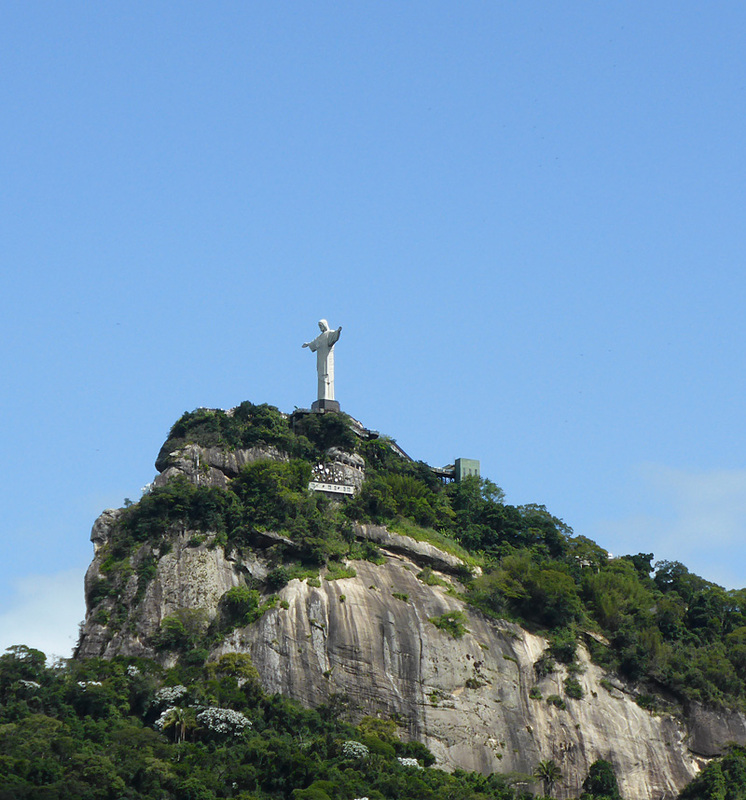 Rio, Rio, Rio… what can I say? You were everything we expected and so, so, so much more. We knew that your beaches would be long and white, that the views would be awesome, that your statue would be enormous and that your locals would be beautiful. What we didn’t realise was that we would fall totally head over heels for you. Your restaurants are awesome, your drinks are strong, your nightlife is insane and we will be back for more. I’m glad we had 5 nights staying with you. First up, we stayed at Mama Ruisa. 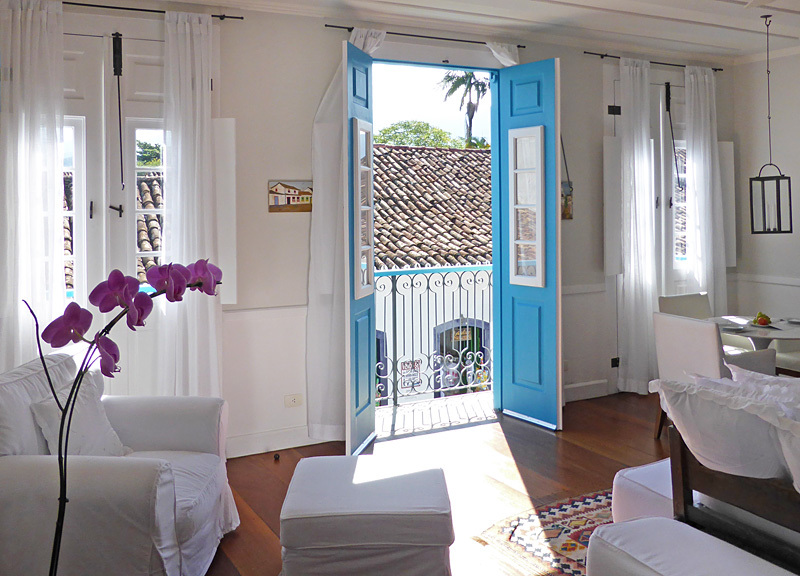 Once an aristocrat’s colonial home, it is ideally situated a minutes’ walk from the centre of Rio de Janeiro’s fashionable, bohemian Santa Teresa district. 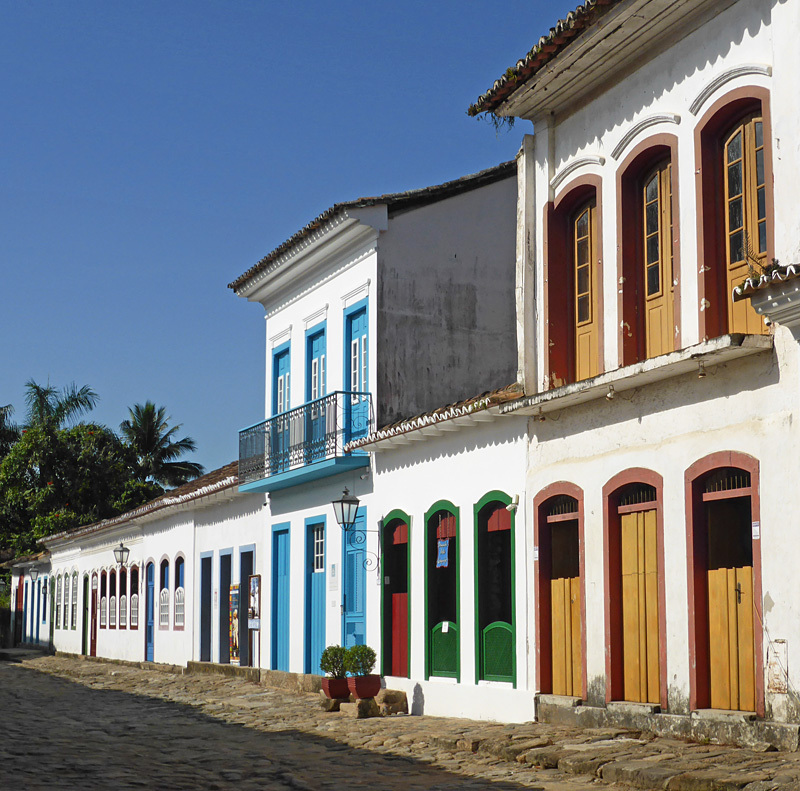 With its art galleries and artist studios, funky shops and great restaurants, Santa Teresa almost feels like a quirky corner of Paris rather than part of the Rio’s huge metropolis. 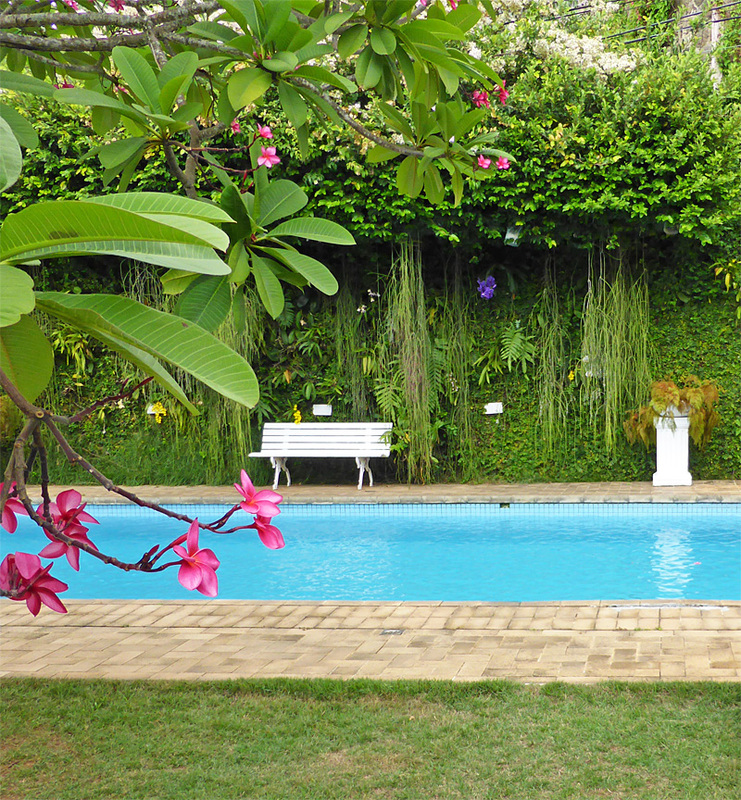 Mama Ruisa itself is an elegant guesthouse with large open rooms, a beautiful wraparound wrought-iron veranda, pretty gardens, a lovely pool and stunning views of Sugarloaf Mountain. It feels contemporary and cool, yet retains the feel of a colonial house. 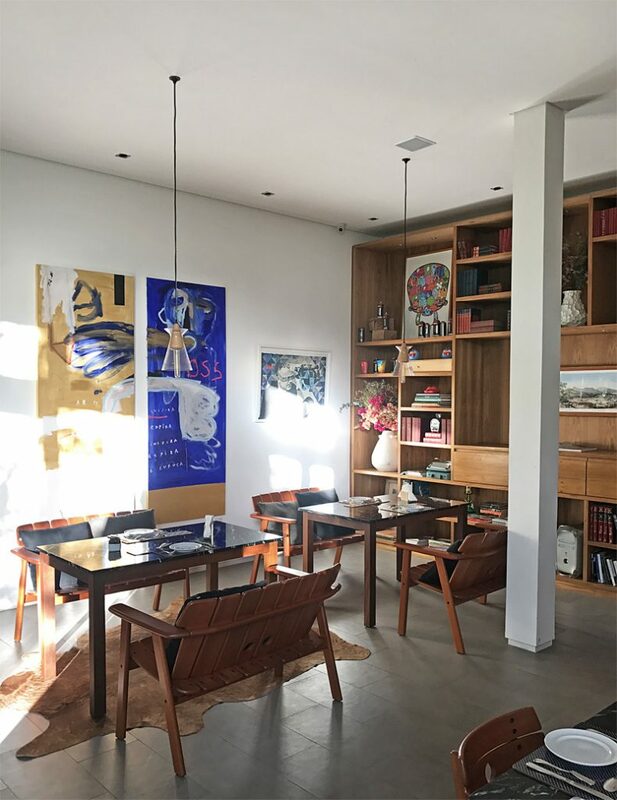 French owner Jean Michel has a keen eye for design and has decorated the house with indigenous crafts, handsome art, gorgeous textiles and beautiful 20th-century Brazilian design classics (you might recognise pieces by Sergio Rodrigues and Zanini de Zanine). The impressive living room has high ceilings, a plethora of interesting paintings and sculptures, and tons of design books to lose yourself in. Jean Michel can even arrange visits to meet local ateliers and designers. 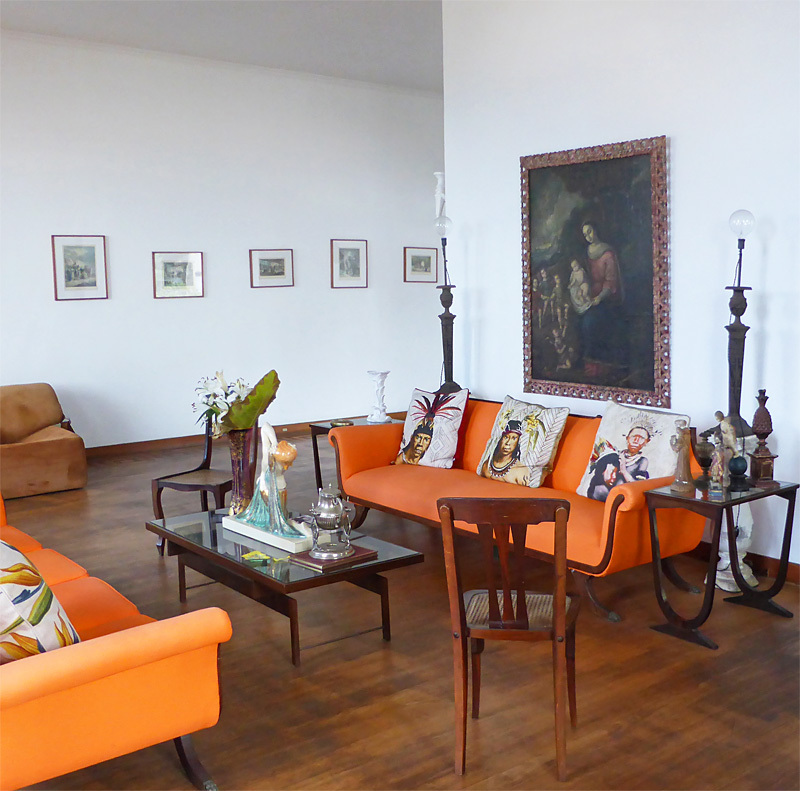 We loved Mama Ruisa, it’s a real treat for anyone interested in Brazilian design and architecture. 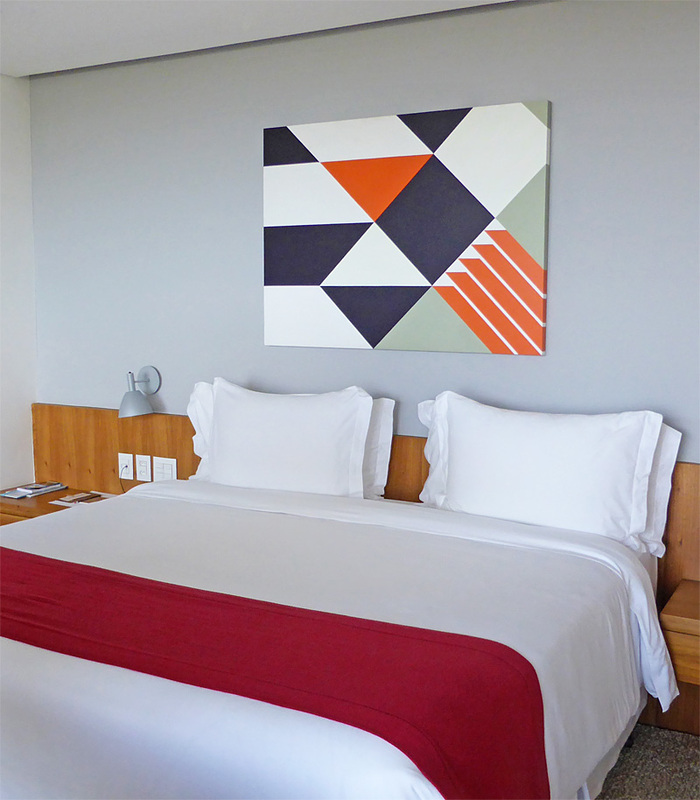 Equally, it is ideal for those looking for a relaxing guesthouse tucked away in this arty corner of Rio. 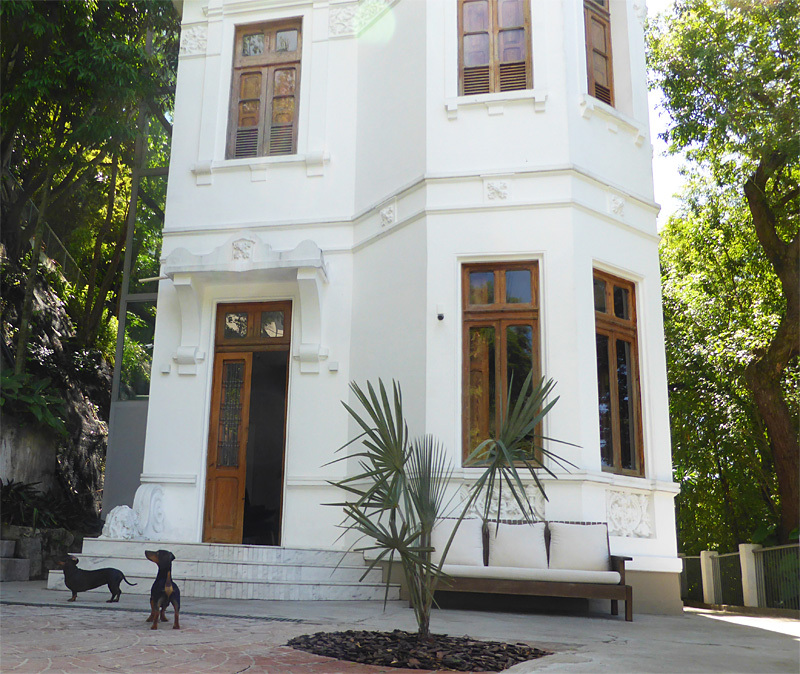 Next up was Casa Marques, an uber-cool converted colonial mansion in the Santa Teresa hills. New to i-escape and opened in 2016, it offers some of the finest views of the city. Add a rooftop pool and open-air bar, and it had our dream combination. What better place to enjoy our caipirinhas? Owners Louis and Jeanine lovingly renovated this former mansion house, adding a funky modern extension and ensuring those standout views could be seen from every room. Graffiti and modern art adorn the walls; beautiful Brazilian furniture fills the space. Staff are friendly, knowledgeable and clearly love working in this very hip hotel. Better yet, an excellent chef prepares fantastic breakfasts and light lunches. 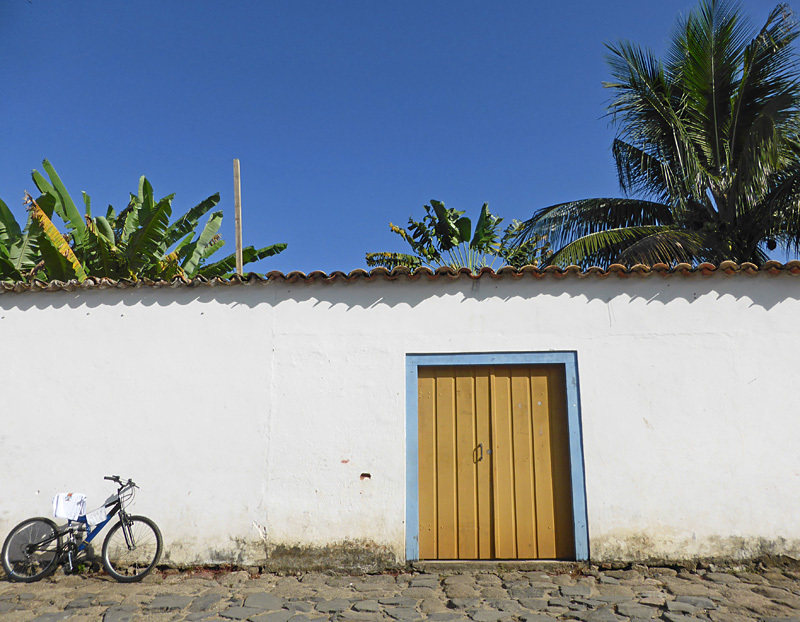 Although it’s a 5-minute Uber or taxi-ride from Santa Teresa’s action, don’t be put off. Here you get the best views in town as well as stylish and comfortable surroundings. 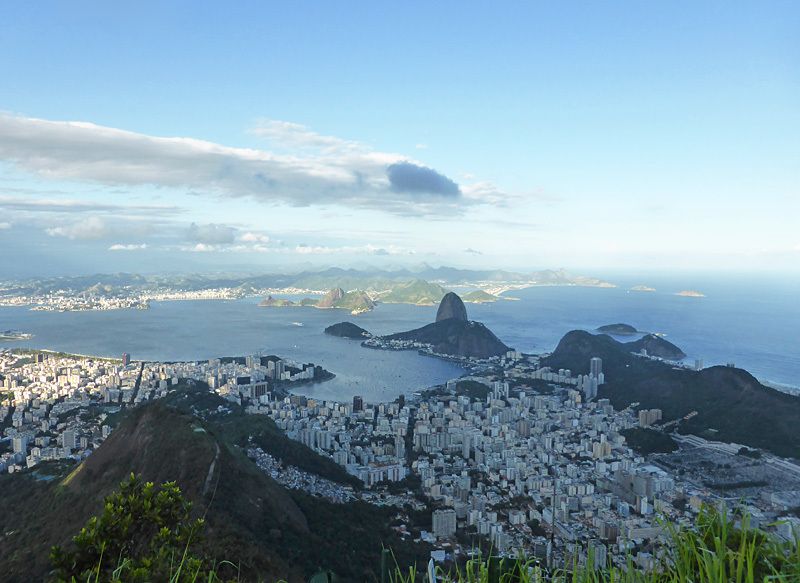 Getting around is actually pretty easy, too – we even caught a local bus down to Copacabana. 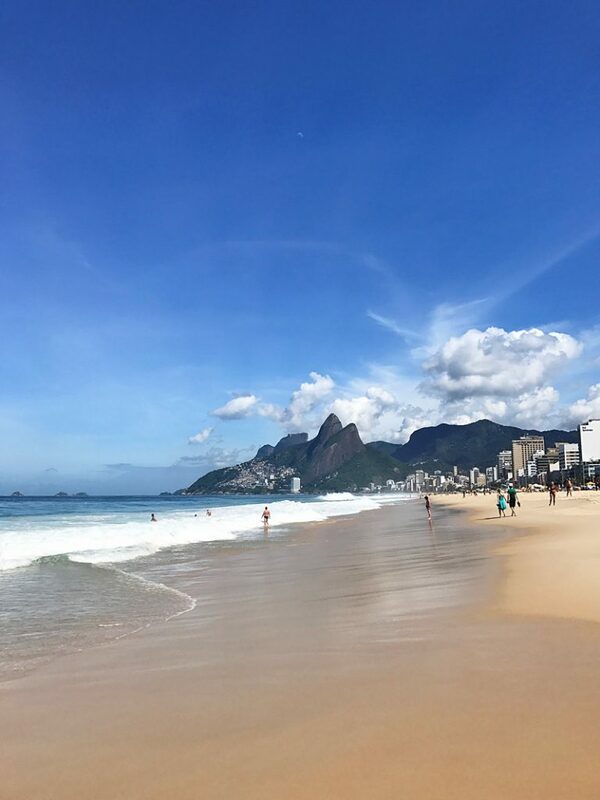 At the very end of our trip, we spent 2 nights staying just off the famous Ipanema Beach, experiencing the buzzing beach life and lively nightlife. Think beautiful people, loud music and beach vendors selling snacks and trinkets. 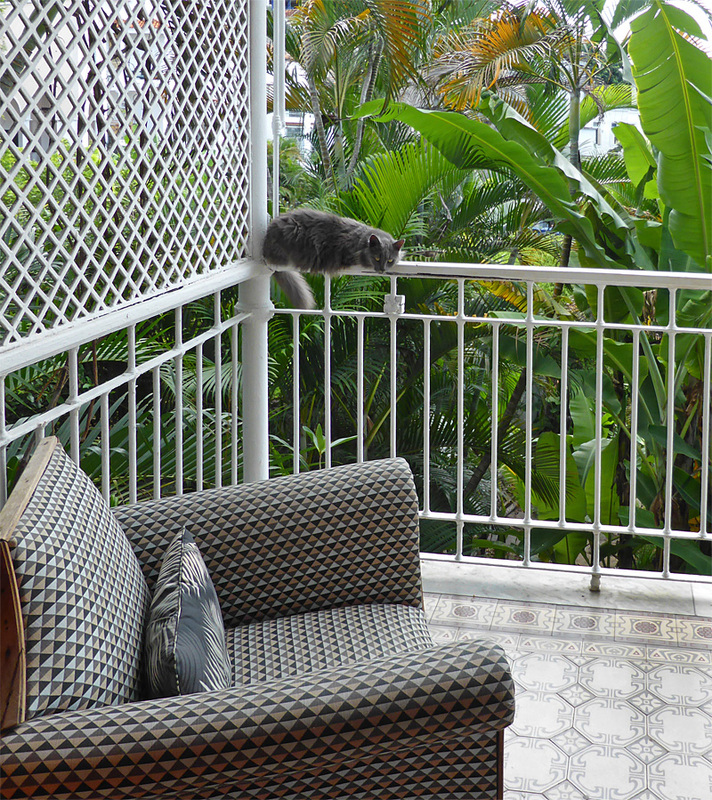 It’s a great location for exploring the beautiful botanical gardens or indulging in some shopping. Just remember not to take too much with you to the beach – it can get busy and pickpockets operate in the area. A towel, a book, sun cream and a few Real’s is all you need – you’ll spend most of your time people watching anyway. Were you worried about safety? We were a little concerned about safety, but only before we left the UK. We followed the advice of hotel staff, didn’t walk around flashing our cameras, took taxis and Ubers (download the app before you go), and avoided unnecessary risks. Following these simple rules kept us feeling safe throughout the trip. Were you worried about Zika? Zika wasn’t a major concern; we visited our travel nurse before departure (always advised before travelling) and took every precaution we would take if travelling to a Malaria-affected area (or similar). We took plenty of bug repellent (containing Deet) and were mindful when exploring higher risk areas, such as the rainforest. Be sure to make smart choices about the clothes you wear and look out for sun creams and after sun’s containing repellent – these will provide protection with little extra effort on your part. Above all, ask hotel staff for advice – they will be able to give you the most up to date information for that area. 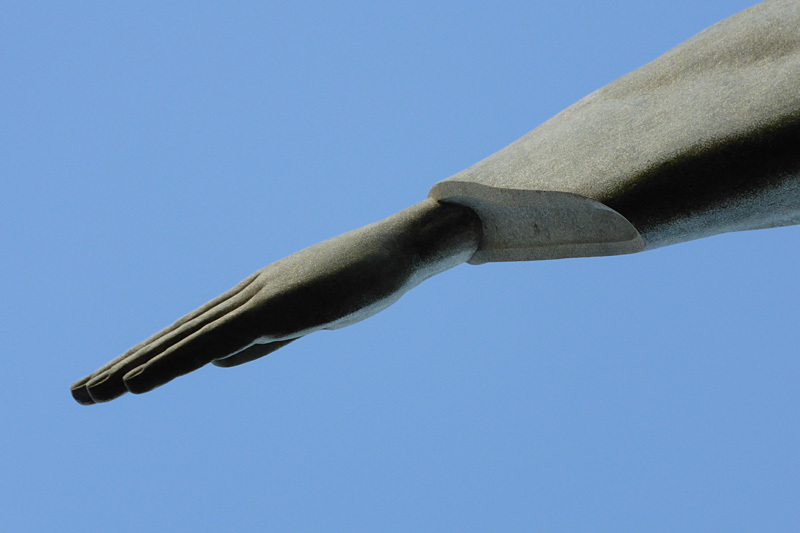 Who would you recommend a holiday in Brazil to? Everyone! 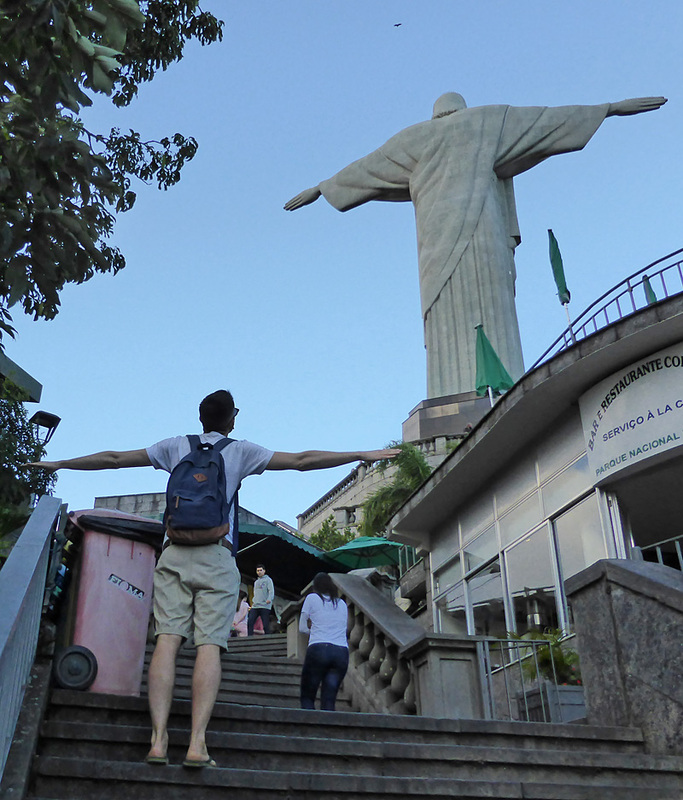 I really cannot recommend Brazil enough as a destination. You will be greeted by wonderful welcoming people, delicious food, colourful vistas, warm waters, clean beaches, rainforests, deserts, buzzing cities and sleepy towns. On top of all of this, we found the service to be impeccable. Granted there were moments when we struggled with the language barrier, but every time this happened someone would grab a friend or colleague who spoke English, so we were never really stuck. My number one reason for visiting Brazil is that it’s still relatively unspoilt and is not crawling with tourists. Get there soon though, this is sure to change as people realise what wonderful experiences it has to offer. 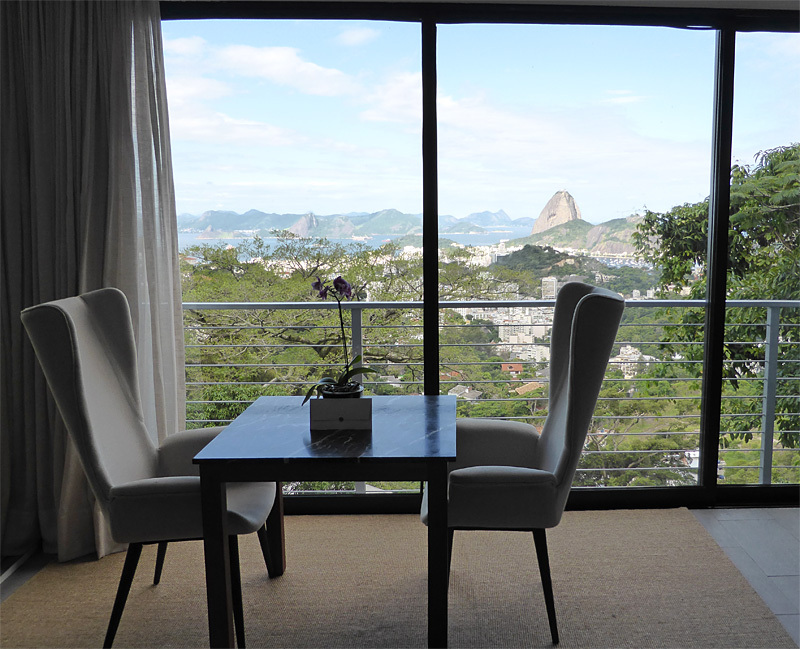 View all of our boutique hotels in Brazil.